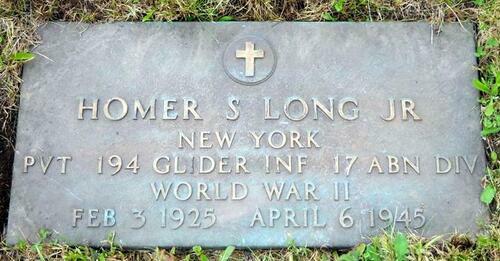 Son of Homer Smith LONG Sr and Bessie Leona MOTTER-LONG, Homer S LONG Jr was born on February 03, 1925 in Kane, Pennsylvania. 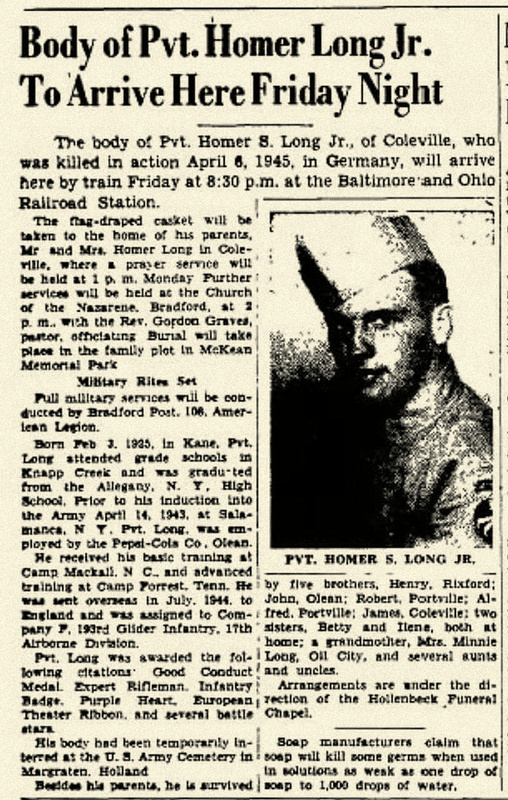 He lived at Bradford, Pennsylvania and was employed by the Pepsi Cola Co, Olean, New-York when he was enlisted on April 07 and inducted on April 14, 1943 at Buffalo, New York. He received ASN 32930595. Private LONG was immediately sent to Camp McKall, North Carolina for basic training and assigned to Company F/193rd GIR of the new 17th Airborne Division. 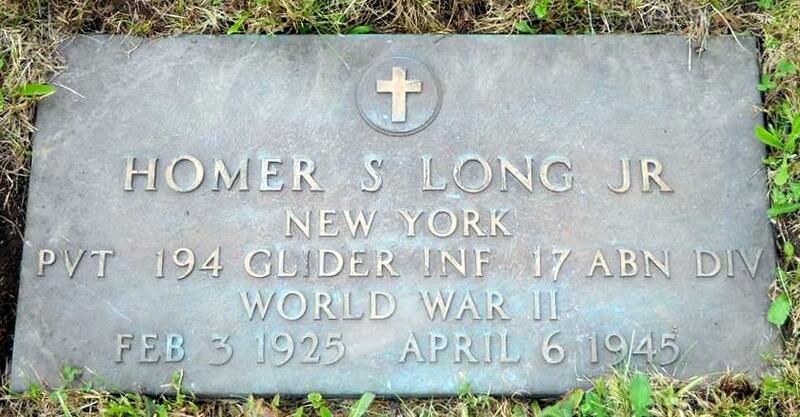 Homer LONG was killed in action on April 06, 1945 in the area of Hamm, Germany while his regiment was involved in the Rhur pocket battle, attached to the 95th Infantry Division. 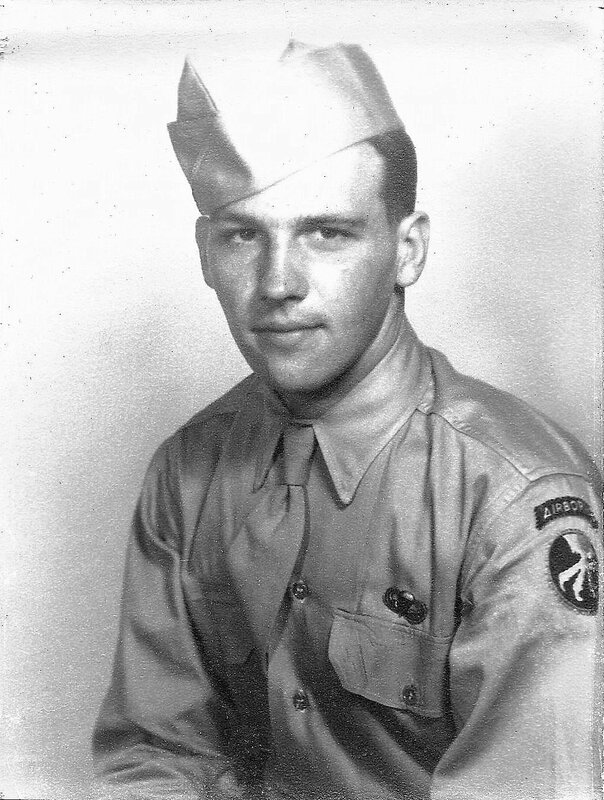 This "GI's Tribute" has been realized with the help of Sally LONG SENNETT (niece) and will be archived in the GI's Tribute - 194th GIR.